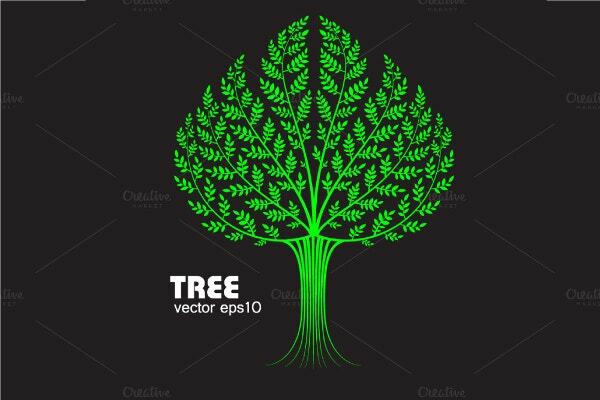 Tree vectors can be used in multiple places. If you are making some designs that feature objects on the ground, then these vectors come into action. In case you are making architecture or engineering projects, the vectors come into use. 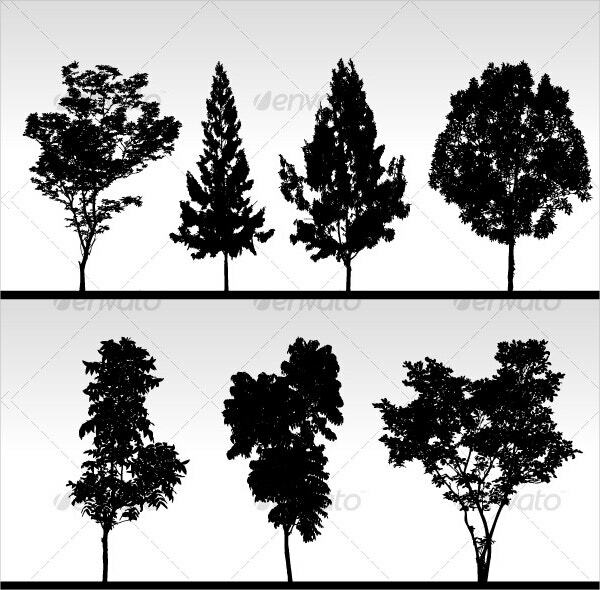 For other flyers and ads, brochures etc, you may use these tree vectors smartly to bring in life-like feel into projects. 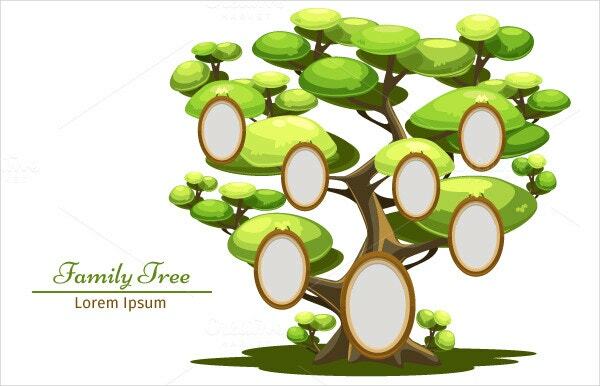 Besides designs and artwork, web designs may also have the tree vectors implemented on them sometime. You can also see Grass Vectors. 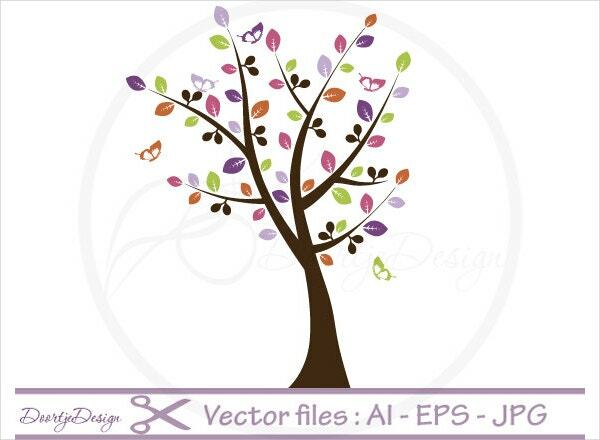 This is a set of smart tree vectors, all in silhouettes. The silhouettes in black show that there are several types of trees in them, and you may use them in mix-and-match style. This is the picture of a decorative tree, and the tree in fresh green color has a very beautiful, leafy and symmetric design. 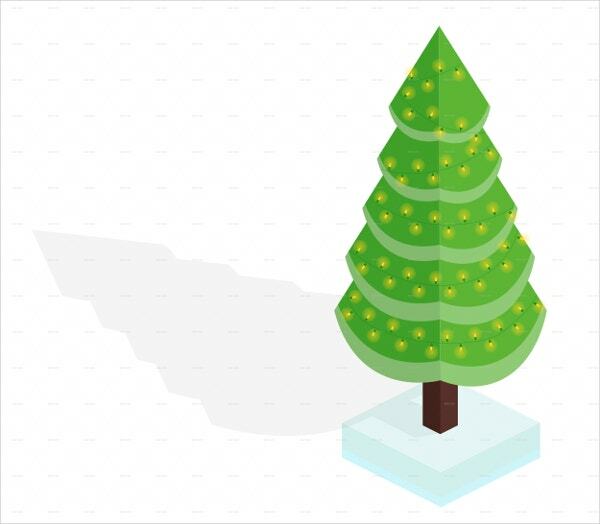 This is the vector image of a Christmas tree with lots of gifts on it, and the lush green color makes this look very bright and great for use in cards and designs. 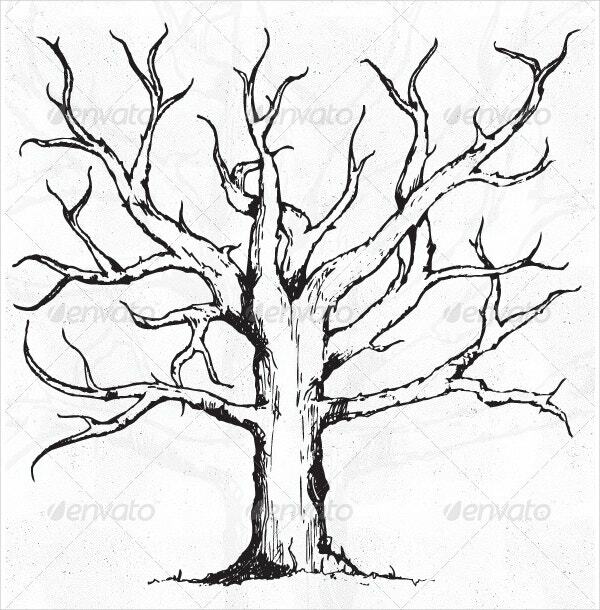 This is a tree vector without leaves. If you need a tree trunk and branches without leaves, you may use this in any size and fit it in your project. You can also see Diamond Vectors. 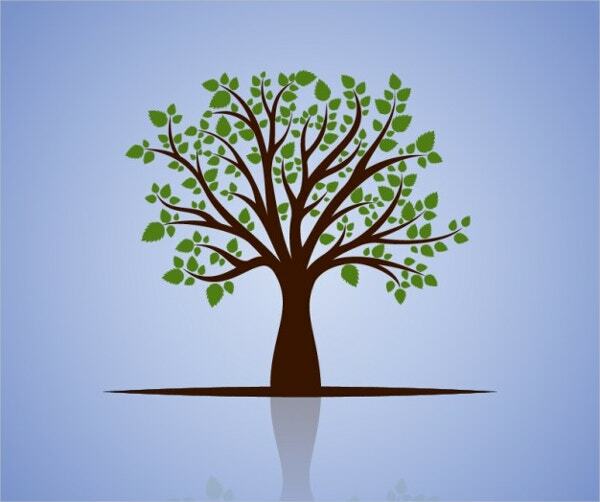 Making a family tree is actually a very interesting task, and this can be made more fun when you get such a family tree vector to do this. Lush green leaves and white oval boards hung on branches to write the names of members makes for this vector. 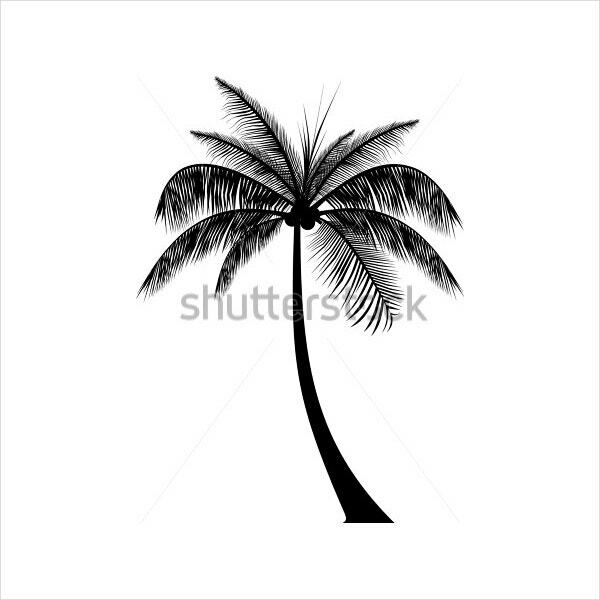 This is the vector of a palm tree. The silhouette stands tall and prominent as palm trees are in reality. 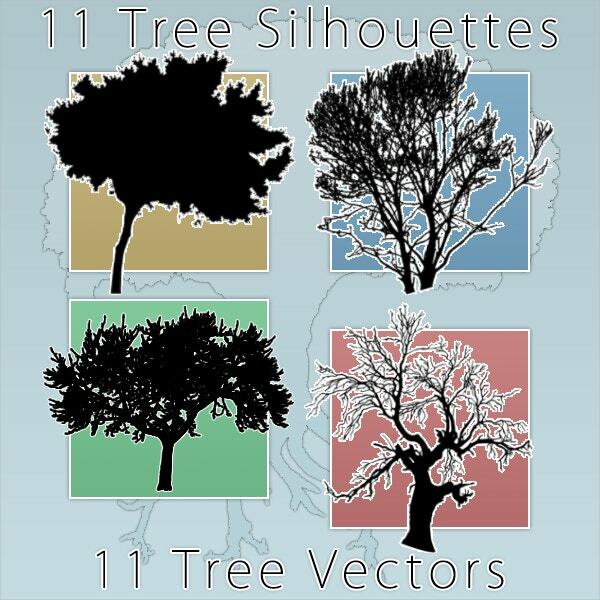 The vector can be used in any project to show prominent palm fringes in silhouette. 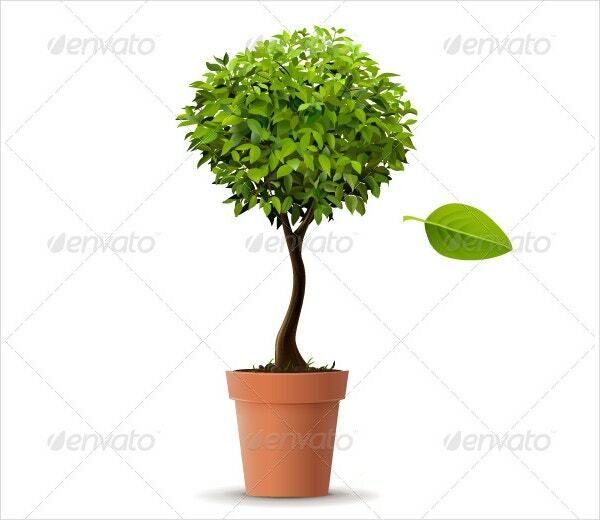 This, as the name suggests, is a realistic vector, where you see a bushy plant on a tub, and with fresh and crisp colors, this one looks more than real. 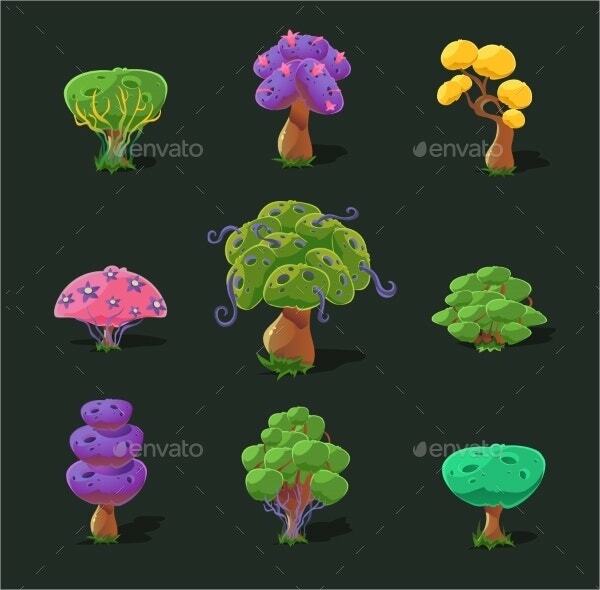 Clipart style simple green and brown combination small dwarf plant vectors are in this bunch, and they look funny and cute to use in fun-style casual graphics and cards. You can also see Snowflake Templates. 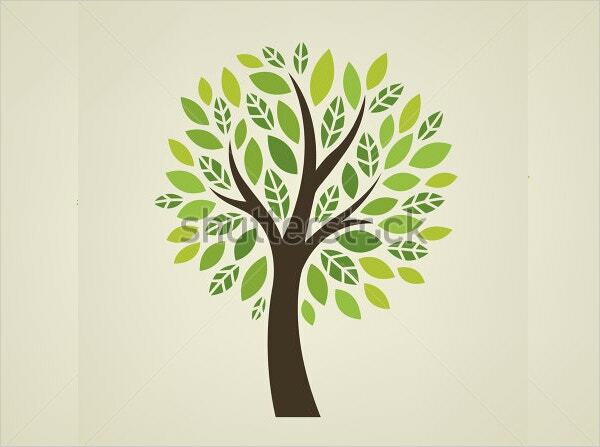 This is a common vector style of a tree which is popular, and that’s for the nice symmetric design. 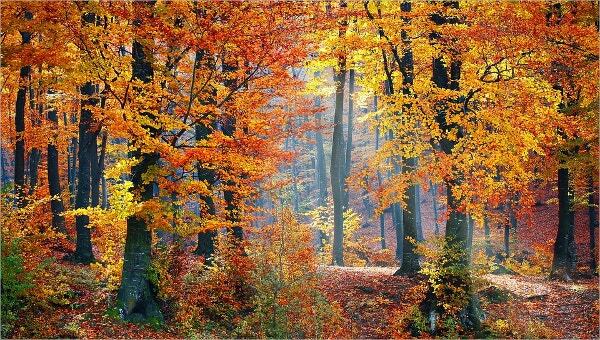 The brown trunk and leaves make this a smart and appealing picture. 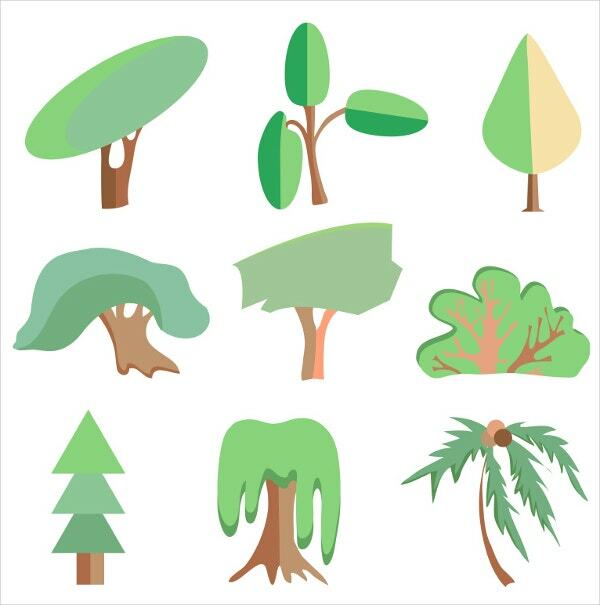 Cartoon trees in various shapes and colors are here to adorn storybooks and kids themes in any style, whether you use them on furniture sheets, curtains, books and dresses or on kids’ accessories. 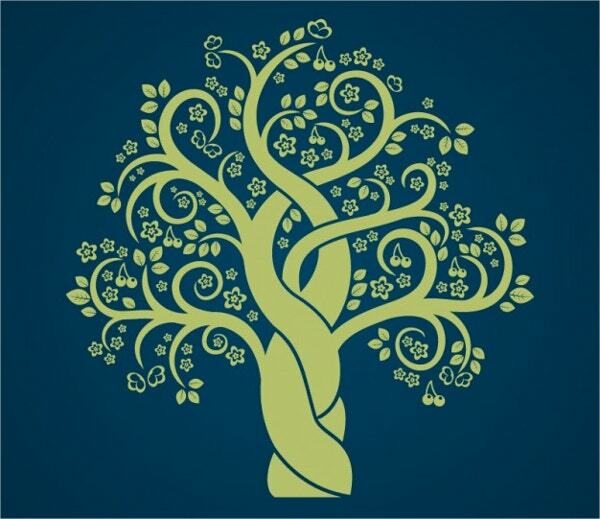 This is a light-colored tree in floral design on a dark blue background, and this one can be used as a symbolic tree in a design. These are tree brushes with white borders and silhouette black interiors, and they look smart on any application in their prominent shape. You can also see Clock Icons. The tree trunk is brown, and leaves on branches are in multiple colors, and there are small colorful butterflies flying around the leaves. That is the whole vector, all about in colorful simplicity. 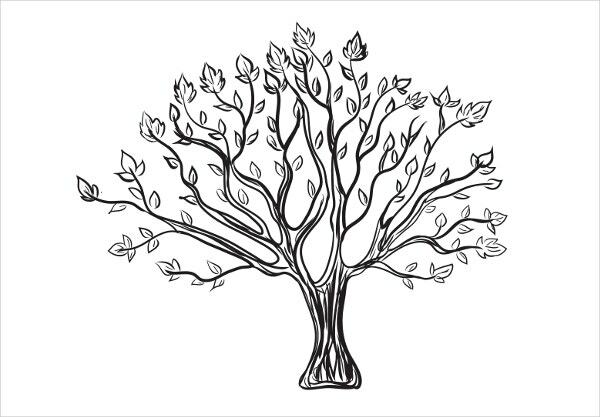 Here is a hand-drawn tree design, and the sketched lines still have a symmetry about the branches and leaves. 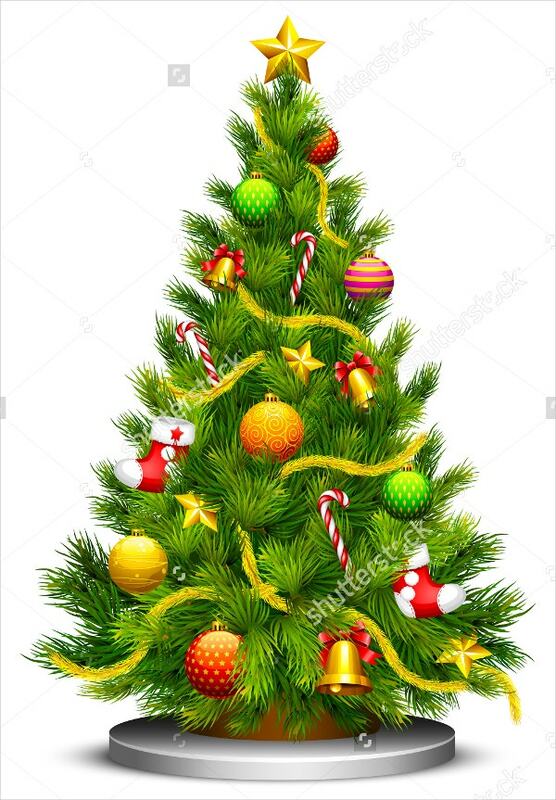 These are cartoon Christmas trees in a cute and adorable round and square shapes around the girth of the tree. They are green and symmetrical, and available in 10 styles in the pack. 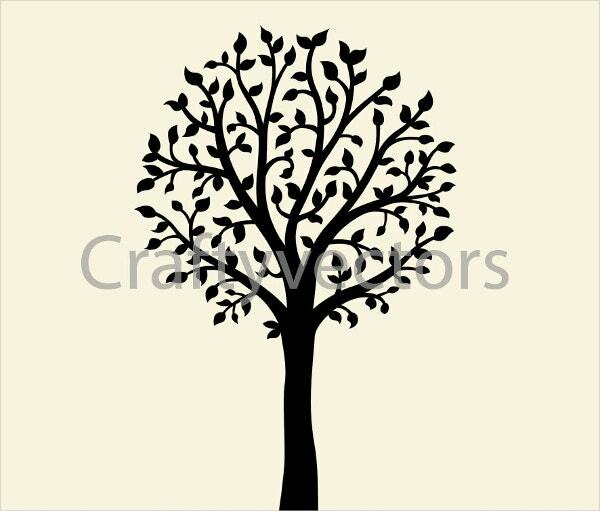 You will get to see lovely tree designs here, and all the vectors are completely scalable. You may use the silhouettes, cartoons, real life type designs, all in various artworks and graphics to bring variety. Most of these designs are free to use and come in easy-to-download packs. You can also see Youtube Templates.